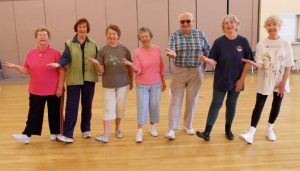 The Winter Park Health Foundation (WPHF) Older Adults Work Group has awarded a planning grant of $25,410 to Central Florida Community Arts, Inc. (CFCA). This six-month grant will provide resources for CFCA to gather information from successful performing arts programs operating across the nation for well elders. CFCA will combine its experience in building grass roots performing arts programs with best practices revealed through regional and national research to evaluate local program options, identify possible venues, invite community participation, and cultivate potential organizational partners interested in providing older adults with opportunities to showcase their talents. Engagement by a variety of key stakeholders will be vital to the planning process and is expected to include community members, leaders, organizations, and other contacts invested in the health of older adults. In addition to resources provided by WPHF, AARP Florida and the Pabst Charitable Foundation of the Arts are providing contributions to this planning effort which will be complete by November 30, 2016.